Jewel of the Canyons Bed & Breakfast. 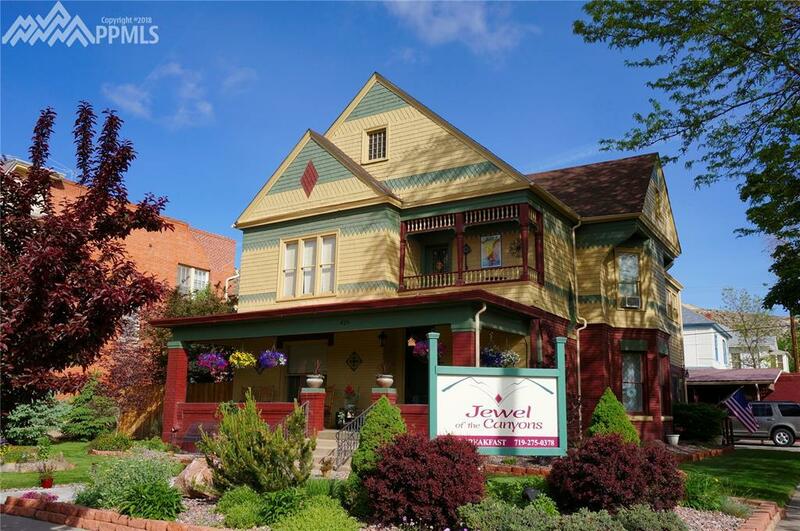 Canon City's most charming Bed & Breakfast. 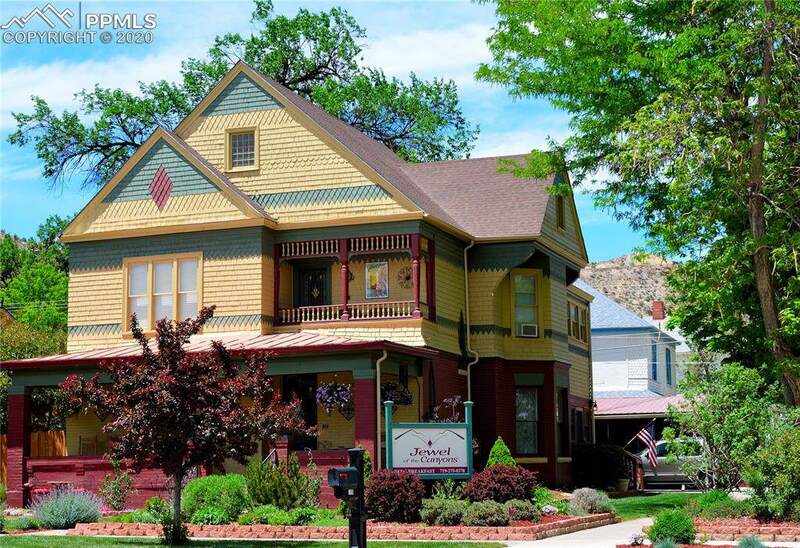 Enjoy present day comforts in an authentic 1890's Victorian style Bed & Breakfast while visiting scenic Canon City, Colorado, the "Gateway to the Rockies". 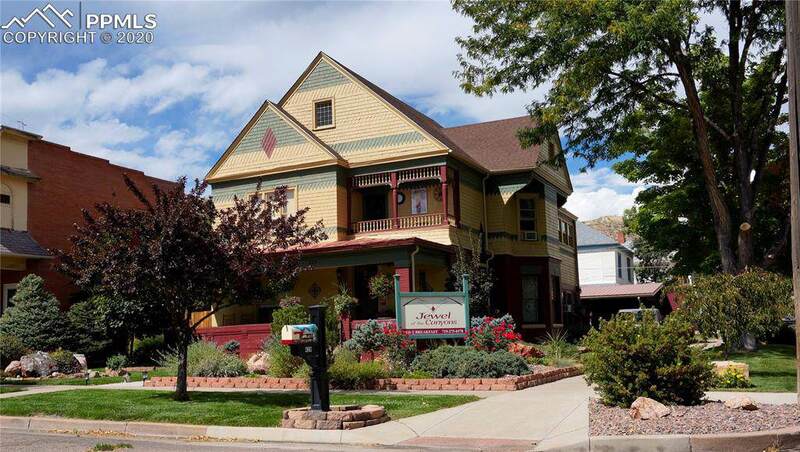 This Bed & Breakfast welcomes vacationers, business travelers, out-of-town guests, friends, relatives and anyone needing a relaxing place to stay. Private residence attached to the beautiful building offers privacy and comfort. The property has been completely remodeled. Jewel of the Canyons has four spacious, air-conditioned rooms each with private bath and comfy bath robes. Every room is unique with different color patterns and all the rooms have antique beds, dressers, and dÃƒÂ©cor to match. Each room also has a flat-screen TV with cable. The guest rooms are all named after canyons in Colorado. With near perfect weather, the Canon City area embraces western history, white water rafting on the Arkansas River, hiking, zip-lining, mountain and road biking, fishing, antiquing and many more activities. There are so many thing to do in the area that you will finds yourself wishing you planned more time in Canon City. Don't miss a chance to ride the Royal Gorge Route Railroad or visit the Royal Gorge Bridge & Park. Go four-wheeling into the many mountain roads in the vicinity. Enjoy the surrounding mountain views with a hike or helicopter tour. Visit the Winery at the Holy Cross Abbey for wine tasting and a tour. There are many, many things to do in and around the Canon City area. 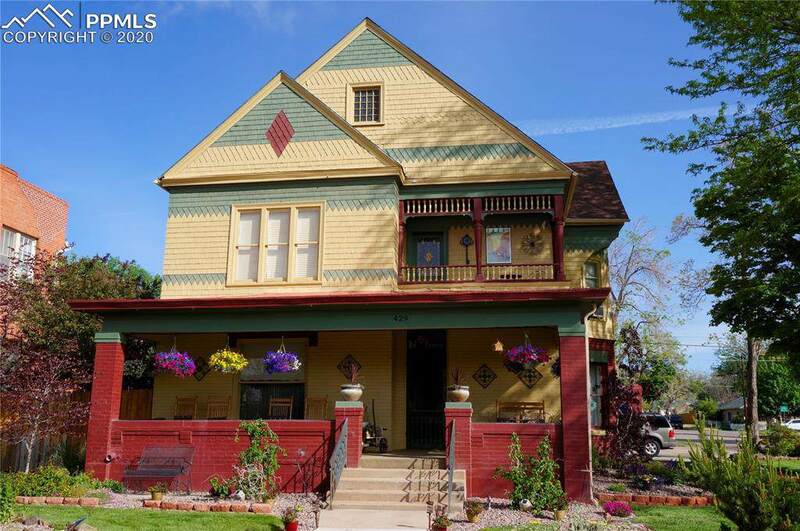 Located just blocks away from downtown and the Royal Gorge railroad station. There are several Hot Springs close by and Canon City has many festivals happening through out the year. This B&B is considered a "Life Style" type property. Listing provided courtesy of Homesmart Cherry Creek.